This book brings together various discourses concerned with violence and punishment, paying special attention to the extreme variations of these phenomena. Starting from a narrow definition of violence as an infliction of physical harm, paired with a broad discussion of its causes and a wide definition of punishment as an authority claim to retribution or reform, the book maps and interprets political-theoretical discourses on the death penalty, historical explanations of the changes of violence and punishment, and comparative differences in punishment. It also puts violence and punishment into perspective with political power, world religions, literature and film, and criminological theory. The final chapter changes the perspective taken in the bulk of the book, dealing with discourses of theodicy in the face of cases of extreme violence and suffering. By juxtaposing many unusual discourses, the book attempts to fulfill three primary functions. First, it skeptically probes numerous discourses explaining and legitimizing violence and punishment in the light of extreme cases. The book is a map of violence and punishment. Second, it invites the reader to confront, choose, and combine these discourses when thinking about facts and norms of punishment. 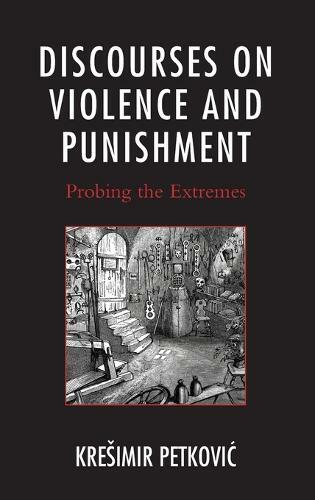 The book provides an analytical toolbox for research of violence and punishment. Third, the book presents wider sense-seeking strategies employed to deal with suffering such as irony, redemption, or rationalization.